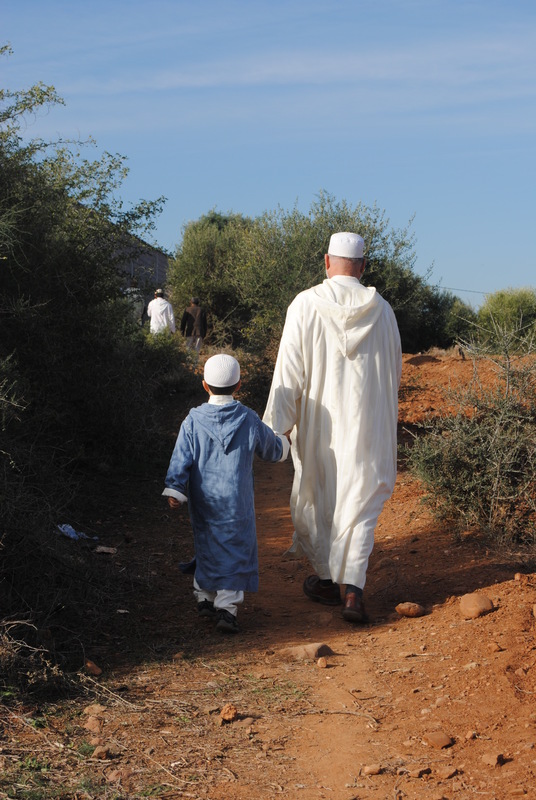 When you live in Morocco, it’s handy to have a few super powers. Driving stick shift…is not a super power. It’s a plain old power. Driving stick shift, during rush hour, behind a mule cart and right up next to a flashy 4×4, a guy trying to sell you box of tissue while the light is red, while tuning out the arguments of 3 or 4 kids (is it pronounced pokemon or pokeman? No! It’s not a man, it’s a monster)… is a super power, one that few give credit to. Another, much less vital super power I’ve discovered I possess is the ability to bake any American dessert with Moroccan ingredients. 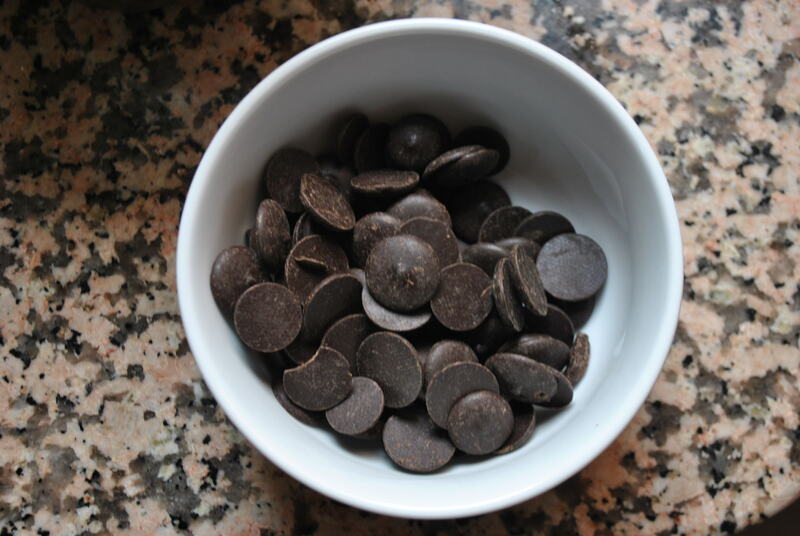 I have cracked the code on many classics, such as Chocolate Chip cookies, for which I have sourced actual chocolate chips in both dark, milk and white chocolate (you can only find them in the deep recesses of the medina, at a professional baker supply store). 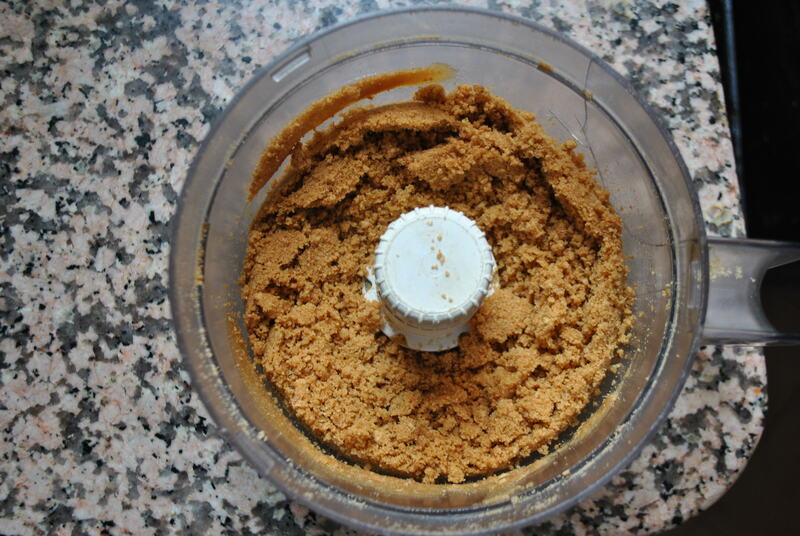 I’ve also discovered a decent substitute to brown sugar, which is cane sugar (Marjane) mixed with a few spoons of sugar honey (Miel de glucose). 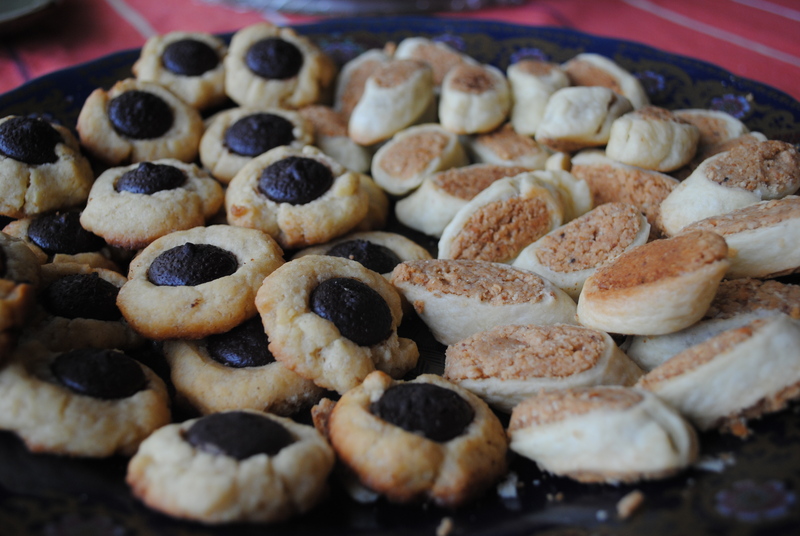 Works like a charm to give that must-have butterscotch flavored chewiness to the cookies. No need to thank me, frustrated fellow bakers, it’s just what I do. I find this super power useful when my American friends complain about the food here. I just say, man up and make it yourself! If you’re gonna make it around these parts, you better crack the code too. That’s my PSA for y’all. That said, there are some things that I like to have from the states. One is a set of measuring cups, since most American recipes are measured in cups, not grams (there are ways to convert between the two, some websites, don’t get me started). Anyway, I have my measuring cups. Another is some good quality vanilla extract. I like the Trader Joe’s brand that is alchohol-free. That’s about it, seriously. 2 things. As far as cooking in general, I like spice mixes like Mrs Dash. I stock up on those if I get to the states, or my family and friends bring them over. Everything else I can either make, find or do without. 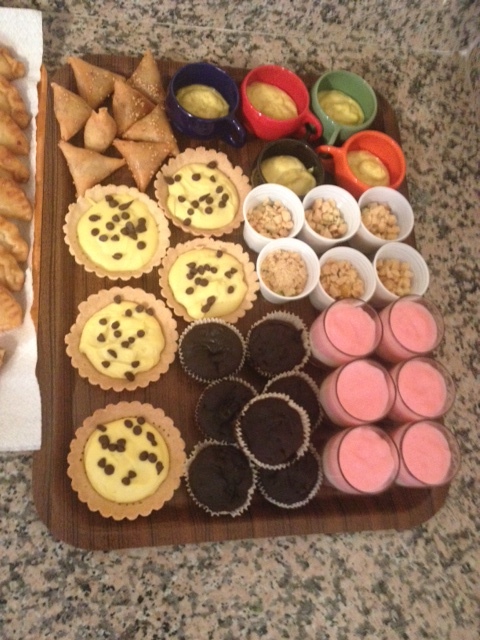 So, this past Eid, I decided to put a new twist on my Moroccan-made cheesecake. (My sister did, and since I can’t get ahead of her, I have to at least keep up). 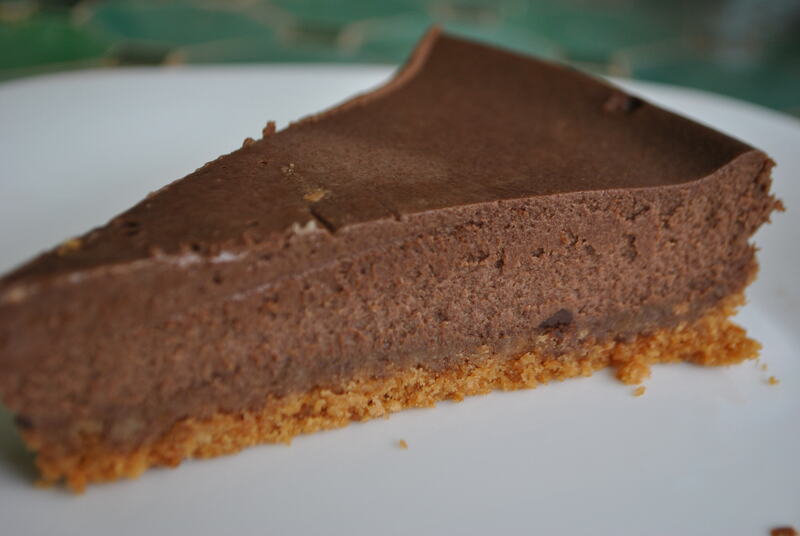 Chocolate Cheesecake! 1. I think the ingredients speak for themselves here, but just in case not, let me introduce them. 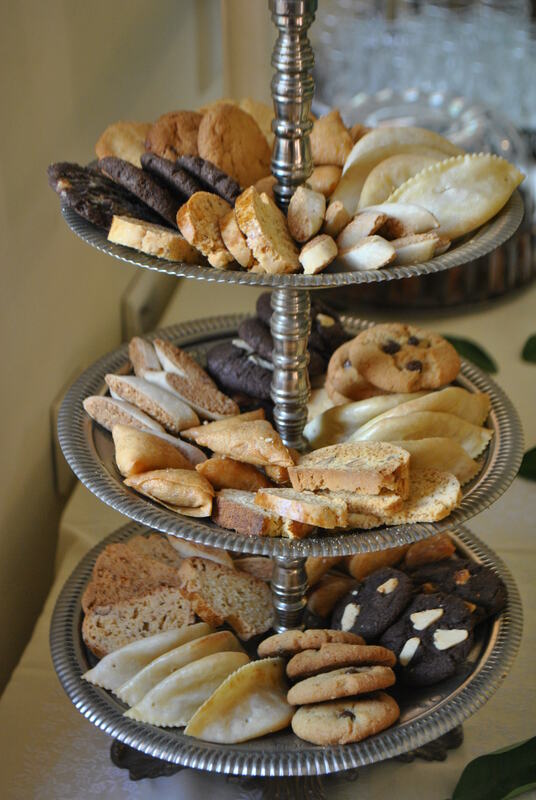 Sable are our Graham Crackers, Carre creme (the squares) is our cream cheese, Perly is our sour cream/yogurt, Nestle is sweetened condensed milk. 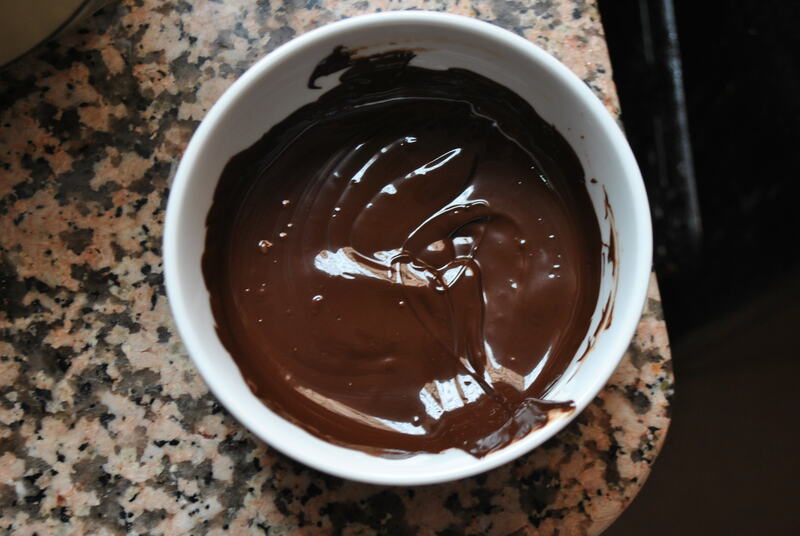 That Choco Pasty stuff is dark chocolate, the real kind, don’t go for “Sucre Chocolate” which only has 5% cocoa. Eggs and butter are, naturally, universal. 5. 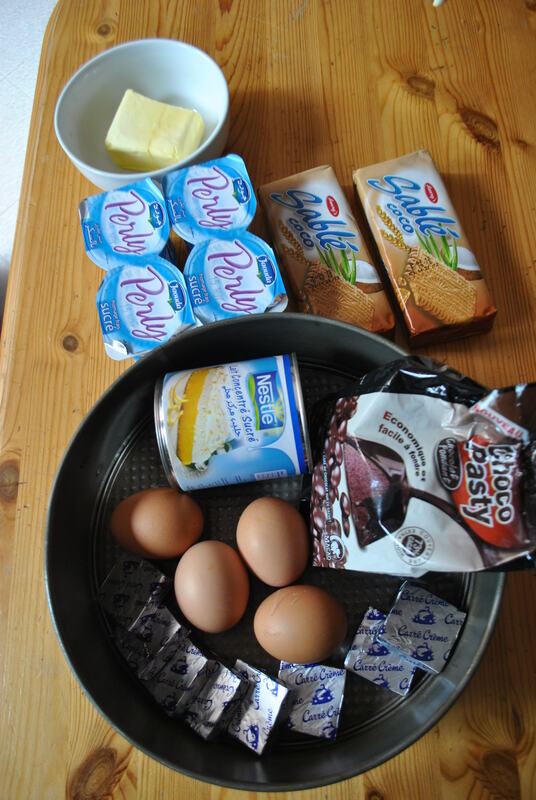 Food process the rest: the Kiri, Perly, Nestle, eggs. 7. Now melt it. I ended up using 200g, almost the whole pack but not quite. I wanted it chocolaty enough to overpower the cream cheese, but not so chocolaty that it’s bitter. This is where you gotta love microwaves. Sure we don’t know what the long-term effects are… but you make it up in clean dishes! 9. It takes a good hour to cook on low heat. Once it’s set, don’t let it overcook or it will dry out. I went ahead and made a lemon cheesecake too. 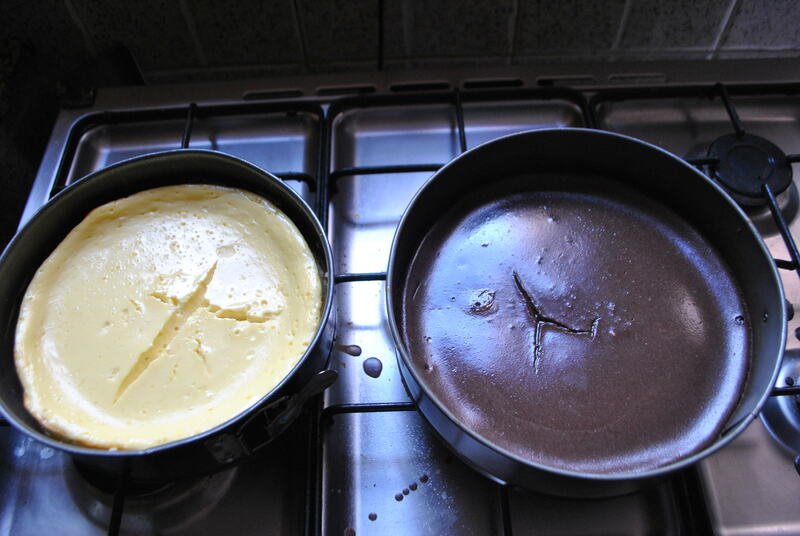 I was interested to see that they behaved very differently in the oven, the lemon one really puffed up and the chocolate one stayed low. 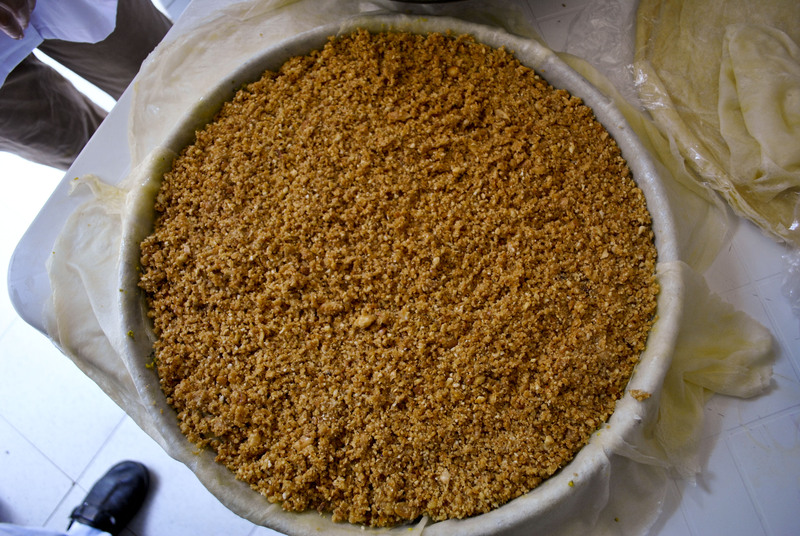 I realized that the lemon juice I used to flavor the lemon cheesecake actually curdled the milk ingredients and gave a whole other texture, it was grainier. The chocolate one tasted smooth as mousse. Of course when I mentioned this to my sister, she’d already encountered the same phenomenon and solved it by using only lemon zest (not juine) to flavor it, and it didn’t curdle. She’s so Obiwan to my Luke. Yeah, yeah, we watched Star Wars and now every metaphor or simile is Yoda this, Darth Vader that. 11. My attempts at food styling. Couldn’t think of anything to top this with except for a blue morning glory. 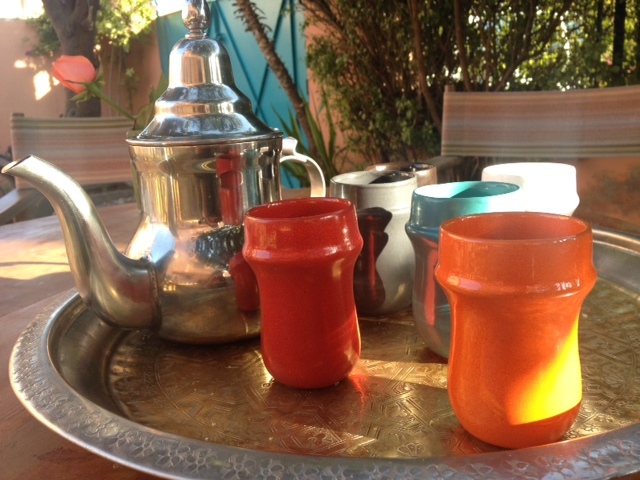 The teapot is a bit of a show-stealer, all shiny and symbolic of Morocco. Enjoy and remember, I’m not legally responsible for the 5 pounds you gained while reading this post. 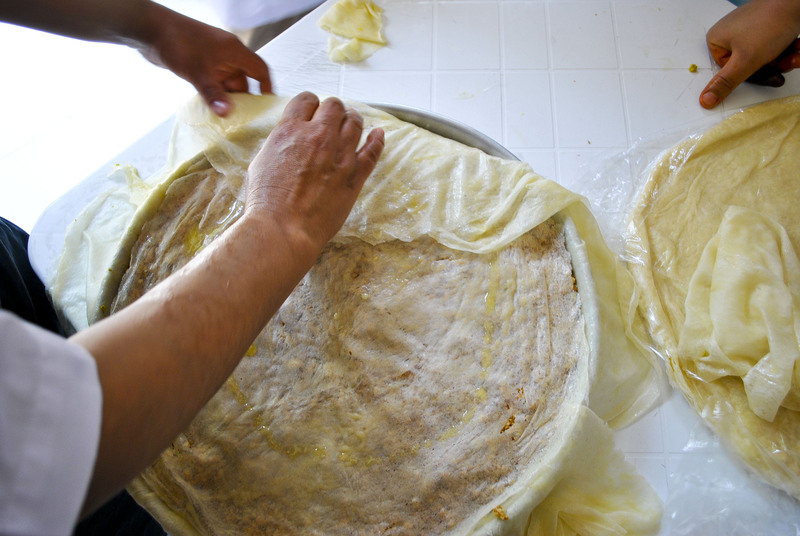 A fun little tutorial on how to make Moroccan fry bread (msemen or rghaif in darija). These are eaten for breakfast or as a special afternoon snack. Cafes often have a woman making them on an outdoor griddle. They are heavy on the oil but so good when eaten hot of the griddle, downed with a glass of tea. Interesting how so many cultures have some sort of fried bread, in New Mexico we eat sopapillas drizzled with honey and Navajo fry bread tacos, while our Pakistani friends have shared spicy Puri with us. I guess fried comfort food is a universal concept then. 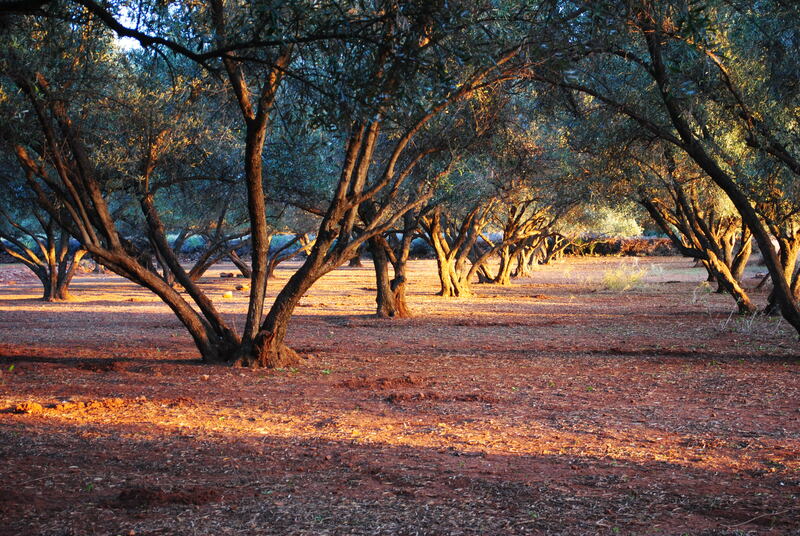 Click on the first image to view as a slideshow. 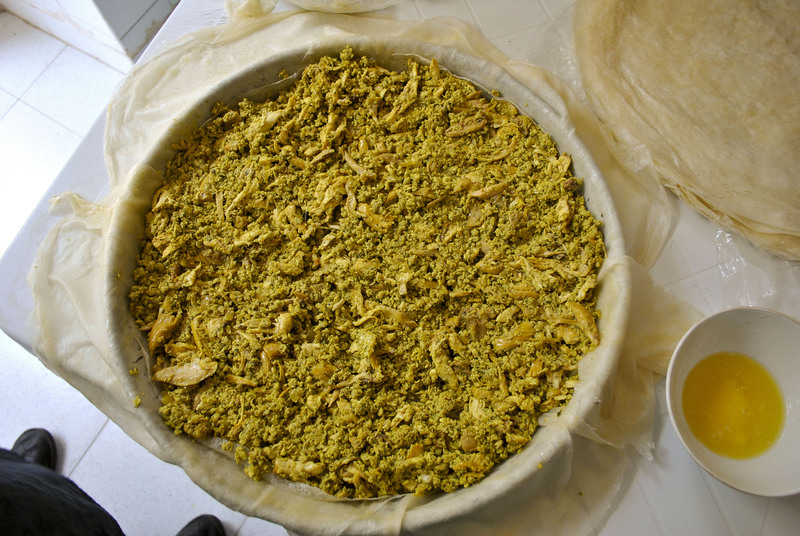 Most Moroccan dough starts out with a mix of white flour and fine semolina (smeeda). 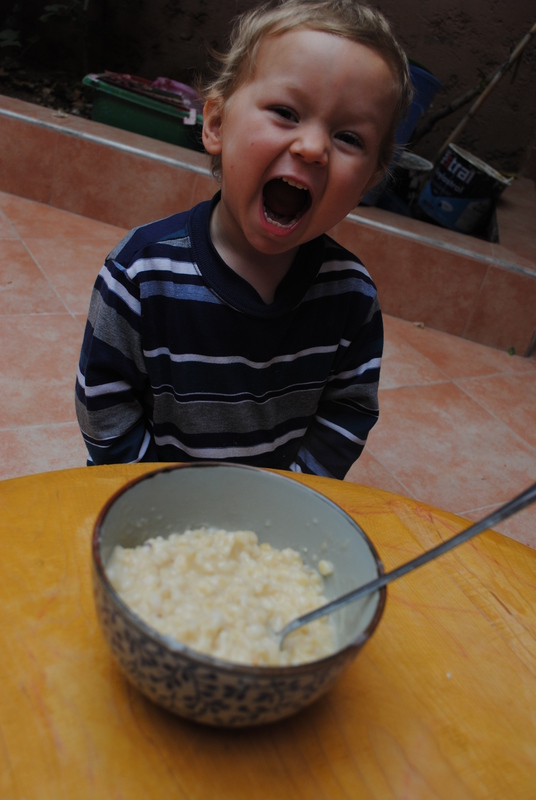 Either 50-50 or as I prefer, more semolina, it makes the finished product grainier and less chewy. 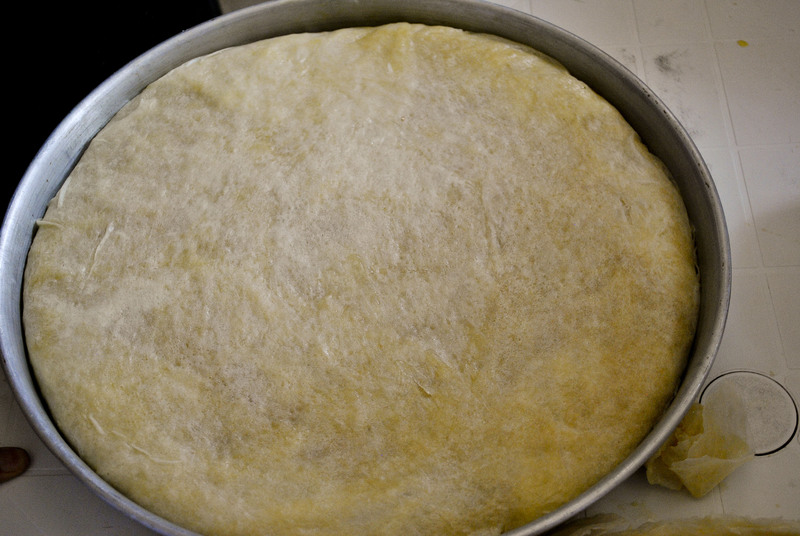 Oil your hands and squeeze the dough to create a dough ball. 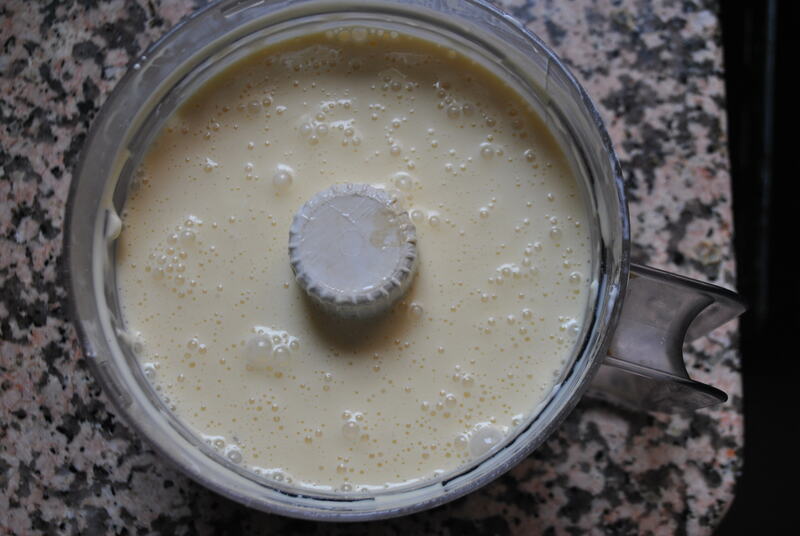 Keep a mixture of melted butter and oil on hand and apply liberally at all stages of making msemen. It takes practice to make them look all nice and even like this. Keep them well oiled. Apply oil/butter liberally to the work surface then flatten out the dough balls. Sprinkle a little semolina, then start to fold in thirds to create a nice little square packet. The semolina here keeps the layers from sticking together. A msemen with no layers is a failed msemen. There is lots of folding. Almost done folding. 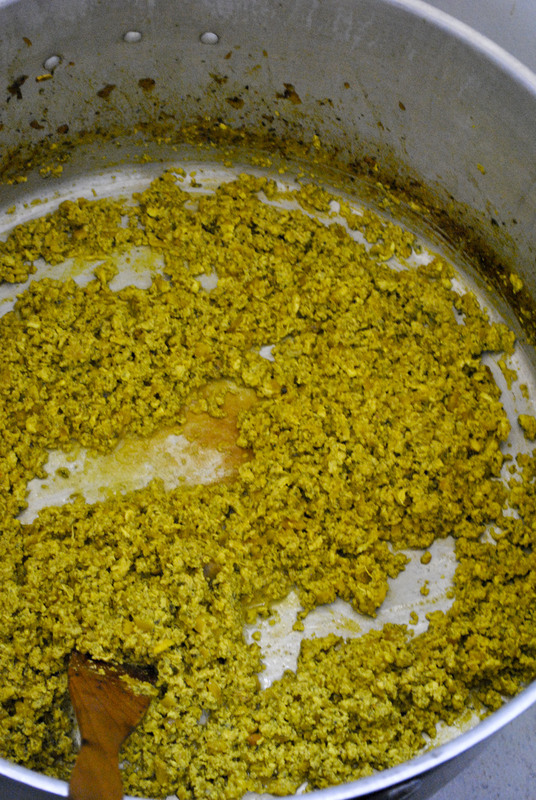 If you are making plain msemen then you are ready to cook them. 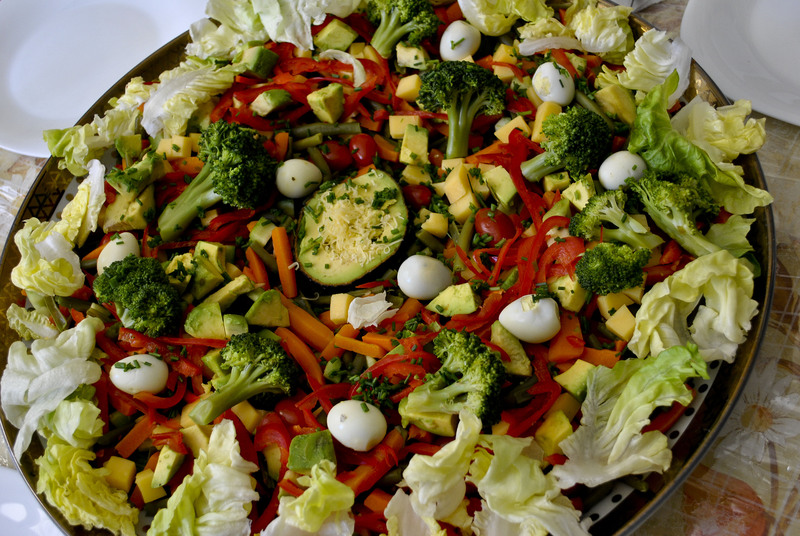 We’re also going to show how to make a great veggie stuffing next. To make veggie stuffing, stir fry onions, grated zucchinni and carrots. Add Moroccan spices: salt n pepper, cumin, ginger, paprika, cumin. It’s going to smell really good at this point. This is actually good enough to eat on its own, is my opinion. 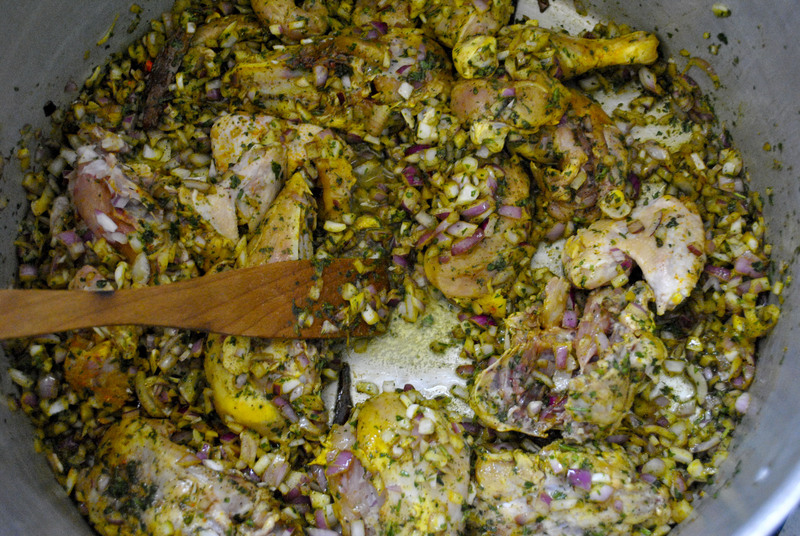 Add chopped parsley and cilantro towards the end of cooking time. It’s hard not to eat a little of this as is. Now you can make stuffed msemen, add 2 tablespoons of the stuffing right in the middle of a flattened dough ball. And fold in thirds as usual. The folded stuffed msemen waiting patiently for their turn. When you are about to fry them, pat them down again til the sides are about twice as long. Ready to cook with lots of oil/butter. Cooking, about 3-5 minutes on each side. There you go. They are only worth eating when still hot and crispy. If they get cold, just reheat in the frying pan. The stuffed ones are almost a complete meal. The plain ones are great with honey or cream cheese. Everyone who knows Paula Wolfert seems to have a great Paula story. Here’s mine. It was about 2 years ago. I was dropping off a good friend at the Marrakesh airport. After we said our goodbyes and parted ways, I glanced down at a counter and noticed a shiny credit card. I read the name, Paula Wolfert, and it sounded so familiar, like a household name, but I couldn’t quite pin it down. I looked around and spotted likely candidate. I ran up to her and asked if she’d dropped a credit card. She said she had and I handed it over and that was that. I walked away then it suddenly came to me who she was. 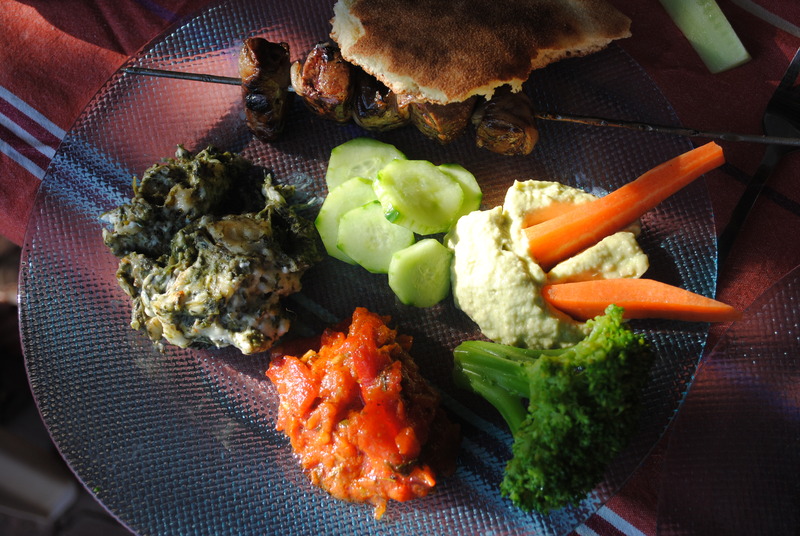 Again I ran after her and asked, “wait, are you Paula Wolfert who wrote Couscous and Other Good Food from Morocco?”. She said “Yes”. I was so excited, I told her how we’d grown up with that book in our kitchen. 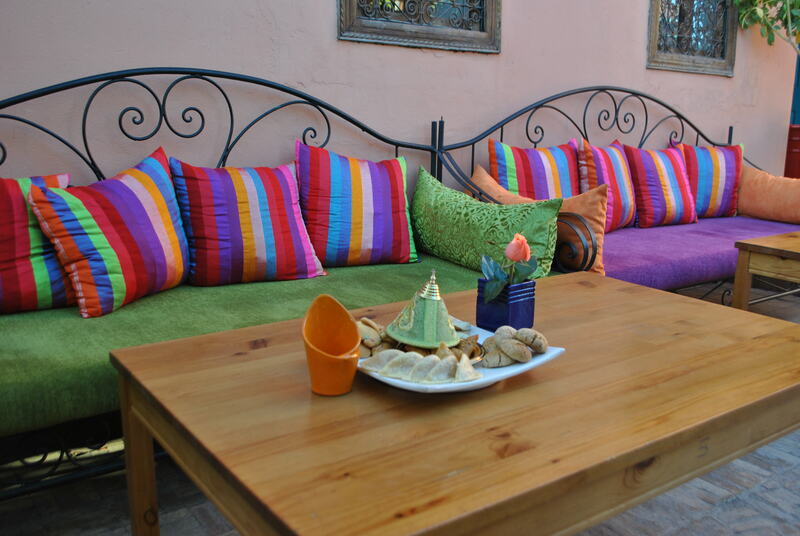 It was that book, with its detailed description of how to shop for and prepare Moroccan food, that unraveled many mysteries for my mother and later for my sister and me. 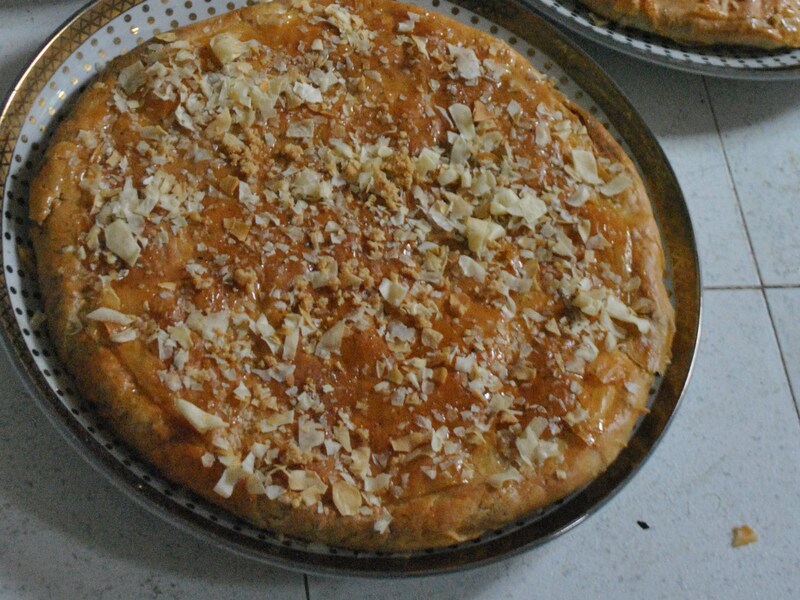 When my sister and I decided to make bastilla for Eid, we used the books detailed instructions on how to prepare each layer, the chicken cooked in saffron, the eggs and the sweetened ground almonds, all of it wrapped them in thin, crispy warqa dough. We did not have a Moroccan grandmother to pass on the old ways to us, but this book was often a good stand-in. 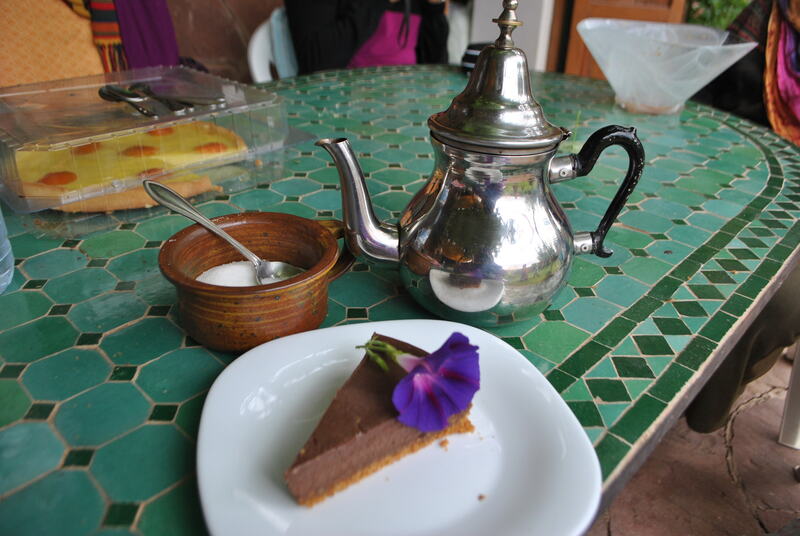 Paula was not just another cookbook author, she was one of us, a foreigner who had come to Morocco, learned the ropes, and lived to tell the tale. Then Paula told me that she not been back to Morocco in 27 years! And that she had now come to find new (old) recipes that she hadn’t featured in her first book. Food and Wine Magazine was going to run an article on her journey re-discovering Morocco. She mentioned that one of the recipes she had come to pin down was Seffa, that steamed angel hair pasta with chicken dish that is my favorite. 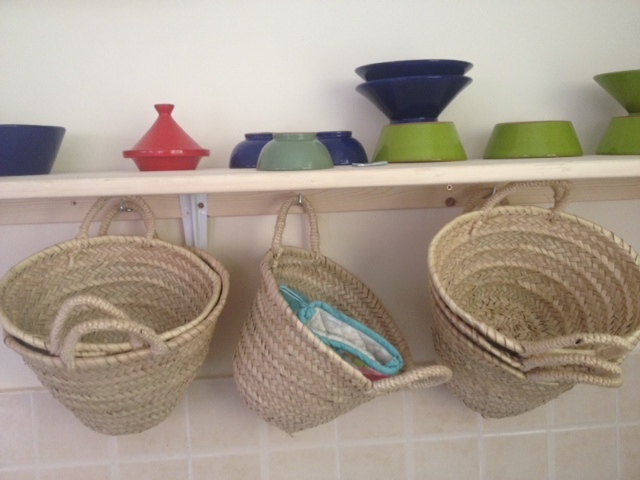 It just so happens that we have a beloved housekeeper, Malika, who is an amazing Moroccan cook. I mean the kind of woman who, whatever she puts her hands into, turns out delicious. I told Paula about Malika, and the next thing you know I was inviting Paula and the magazine staff over for a cooking demonstration. Yikes! I called my mother and gleefully exclaimed, “you’ll never guess who I just me at the airport…”. My mother was equally pleased, and she called up Paula at her hotel and the two of them talked for an hour. I’m sure they had many tales to tell. 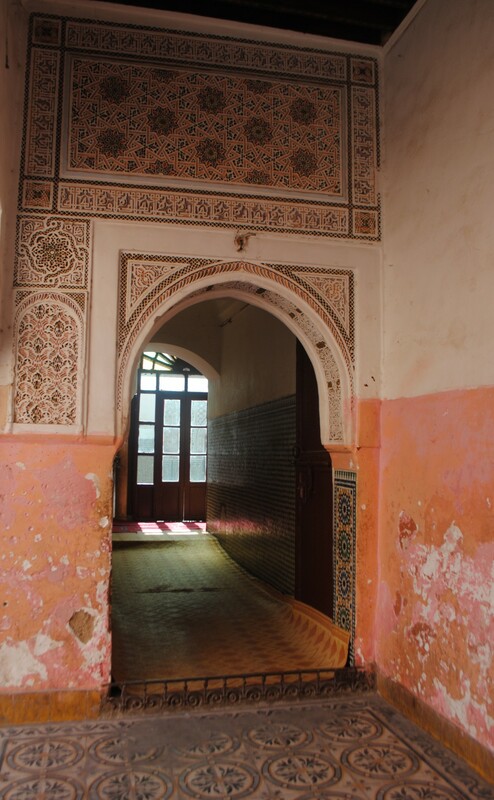 Both my mother and Paula came to Morocco at a very different time. 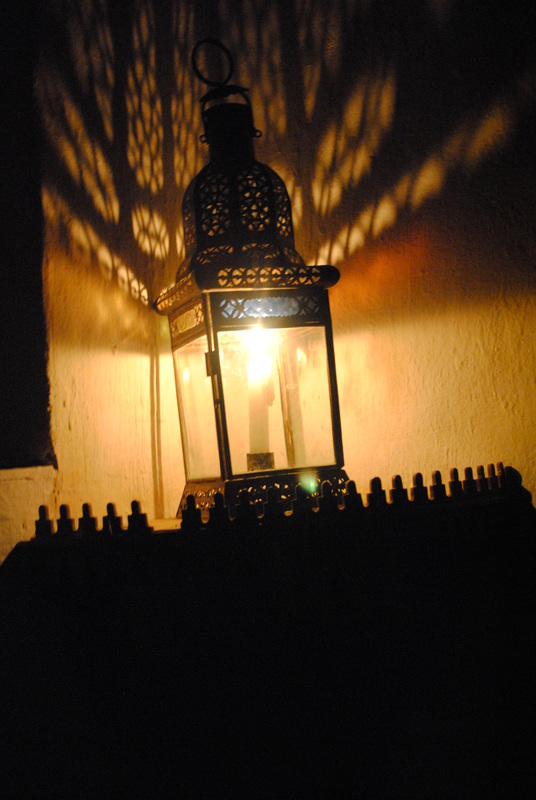 I remember my mother with her jellaba and basket, headed to the markets to do battle, haggling in a foreign language for the purchase of each and every item that crossed our doorstep. Before the big chain supermarkets made everything easy and infinitely less interesting. The day of the photo shoot came, and there we were, Malika, Paula, Emily Kaiser (the food editor), Quentin Bacon (world famous food photographer), his assistant whose name escapes me at the moment, and myself. Malika was dressed in a beautiful turquoise caftan. My daughter, who was then 7 years old, was so excited about the photo shoot and made sure she was wearing a beautiful gold caftan. (She kept asking, “do you think they’ll put me in the magazine?”). 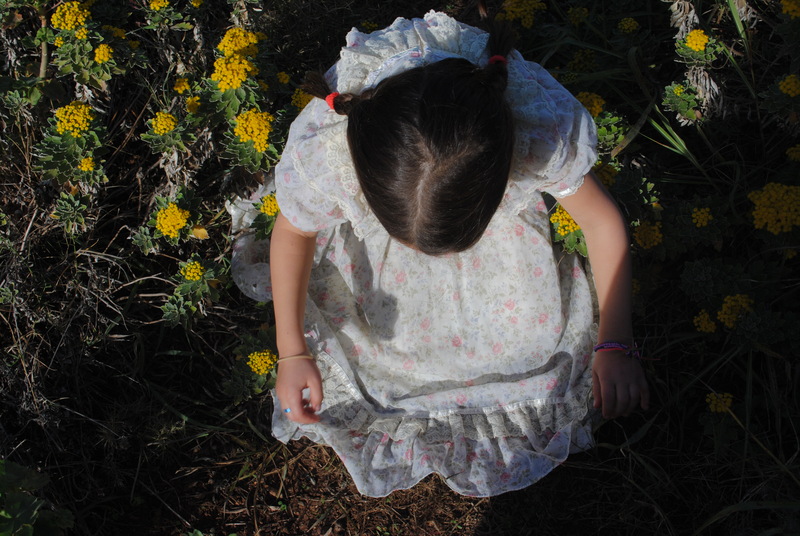 The next day, my mother invited Paula and the crew out to her farm in the country. 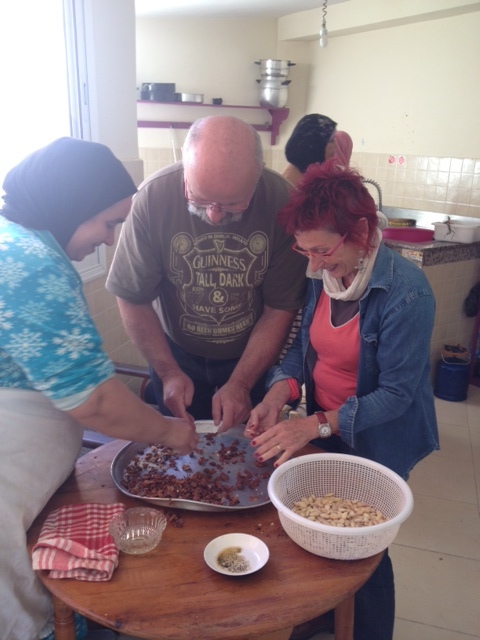 There we hired a couple of local ladies to demonstrate another rather labor intensive Moroccan dish called Treed. Emily told us to look for the magazine article 12 months later. “We prepare articles 12 months in advance so that when we run them, it’s the same season as in the photos”. Let me just say that we were all very comfortable with each other. Paula is extremely down to earth, real and loving. It all came together in the most serendipitous way. So, 12 months later I began to look for the magazine article online. I did not see anything until a few months after that. 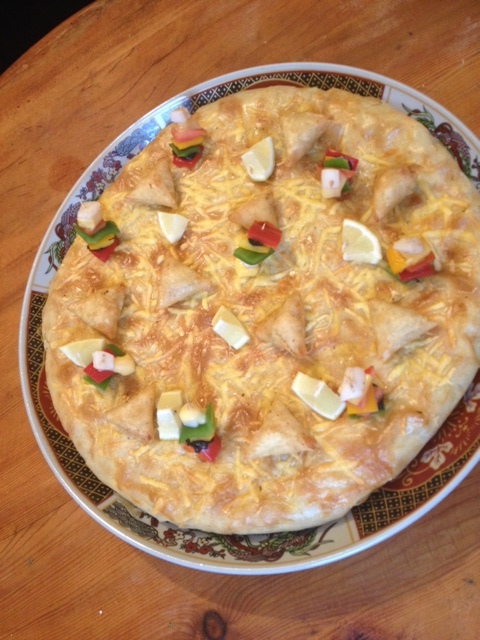 Finally the article appeared, I showed it my daughter Karima and to Malika the great cook. Although Malika and Karima’s names had been switched, and the chicken had turned into lamb, it was fun to read about our cooking day together, it honored Malika and included a nice photo of her and Paula. Well, then, a friend of ours who had spent 3 months in Morocco returned to the States and wrote us, “someone gave me a beautiful new Moroccan cookbook and I opened it up and there was Karima”. (Just so it’s clear, Karima is our daughter). She snapped a photo of the page and sent it to us. I don’t think I knew that Paula was also working on a cookbook when we saw each other, so this came as quite a surprise. Soon after that, Paula sent 2 copies of the cookbook, one for me and one for my mom. It’s really beautiful, part coffee-table book, part cookbook. 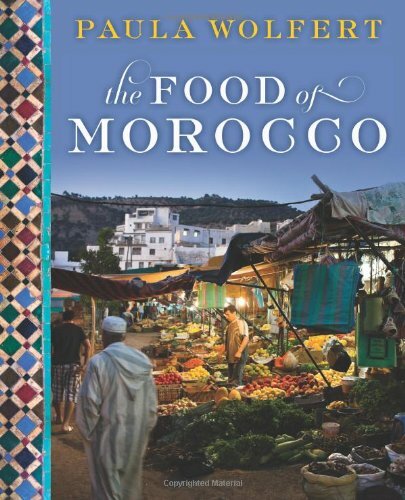 I’m amazed at the depth of Paula’s research into Morocco history, regional characteristics, obscure cooking tips and spice categorizing. There was a very dear picture of Karima in the book , as well as a few pictures taken from the cooking demo with Malika. (If you want to see the pictures of Karima, Malika, our steamer, and a very blurry me eating Seffa, you’ll have to get your hands on a copy). I showed the book to Malika and she was fascinated by all the different recipes. I asked her if she liked being in the book and she said “shweeya (a little), I like the other people’s recipes better”. Come on Malika, give yourself some credit! 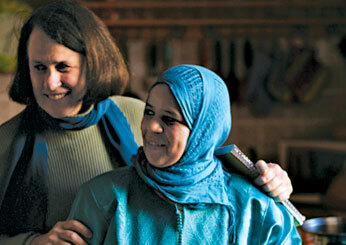 The photo of Malika and Paula Wolfert is by Quentin Bacon. 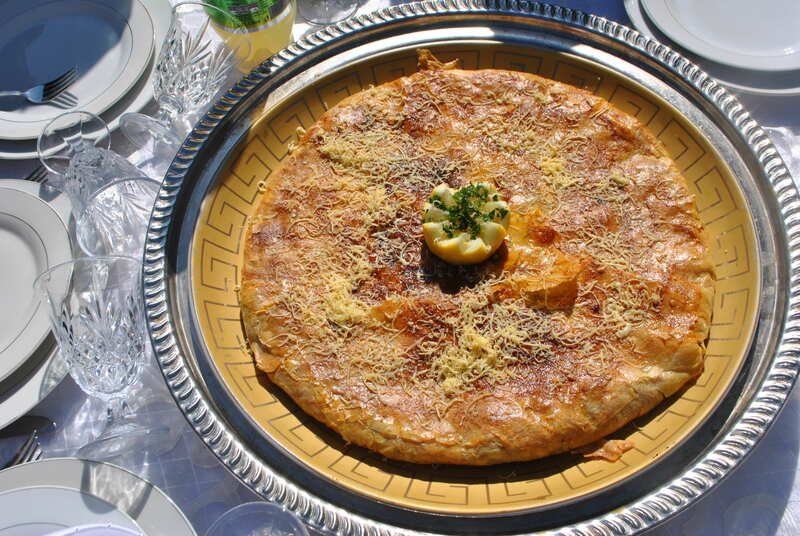 Bastila is a Moroccan dish made from chicken, eggs and almonds, layered and wrapped in phylo dough. 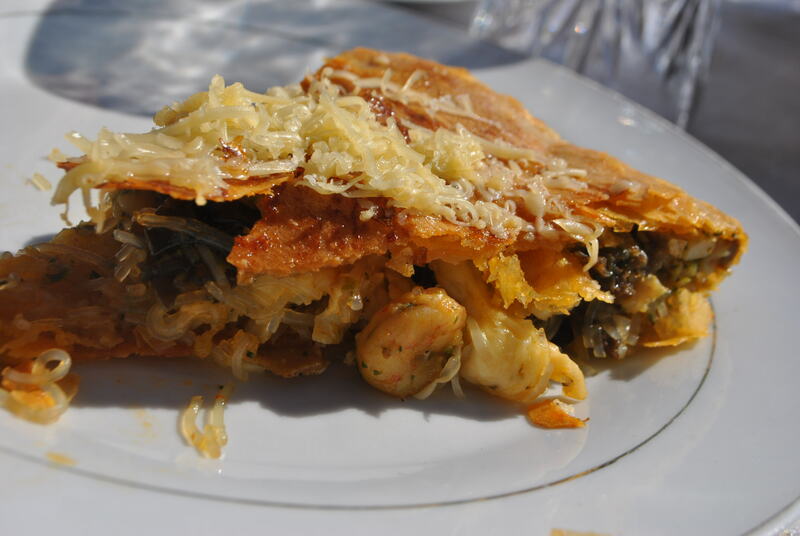 The word comes from Spanish “pastilla” which I am assuming refers to the thin crispy layers of dough. 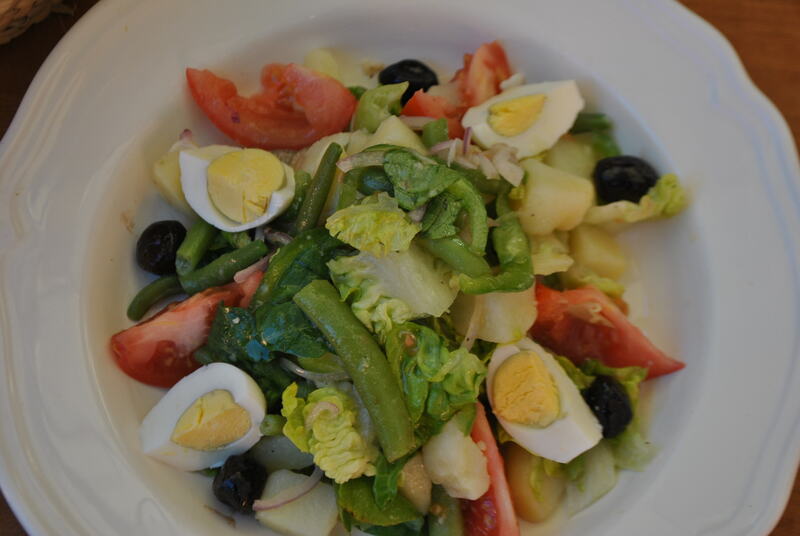 Who knows if this dish still exists in Spain, but “history” (i.e. 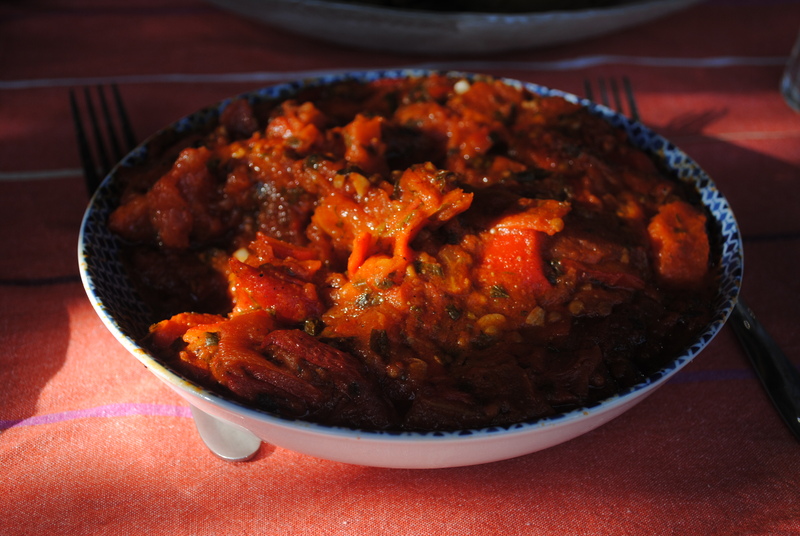 wikipedia) tells us that the Moors brought this dish with them when they were driven out of Spain in the late 1400’s. 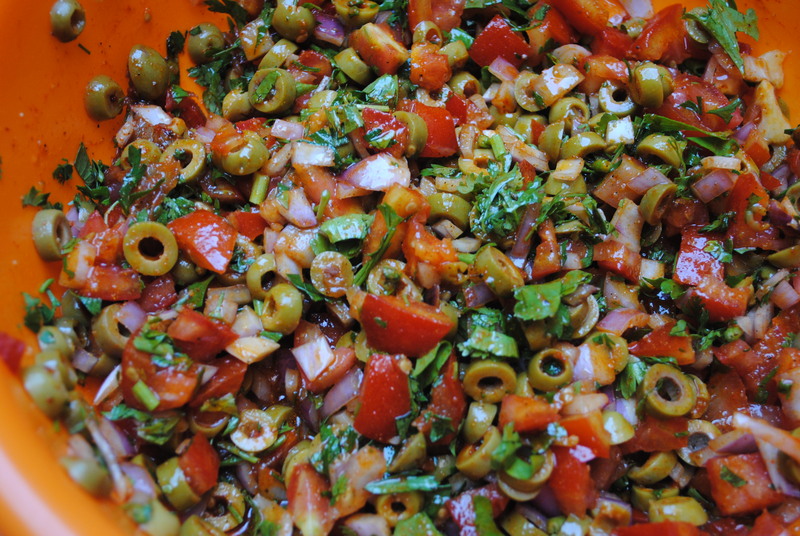 Today it is served ubiquitously at special occasions, usually as an appetizer ahead of a meat dish. I’ve been wracking my brains for ideas to help some of the struggling ladies I know, which is hard to do since my brain actually liquefied and oozed out of my ears a long time ago in this 110 degree heat. But thankfullyI retained that 10 percent of our brains that we actually use. So it dawned on me that knowing how to make bastila is a potentially marketable skill. 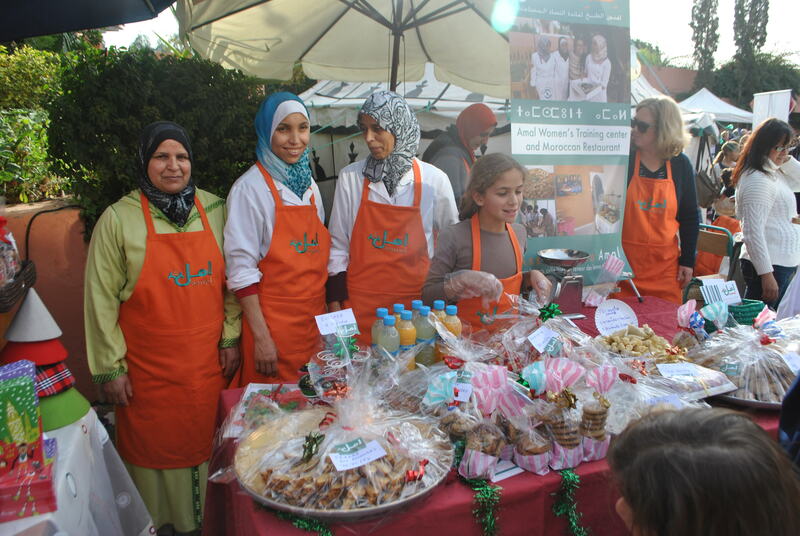 In Morocco, women who know how to make it can get commissioned by their neighbors or by local catering companies. It’s something they can do at home and at their own pace. 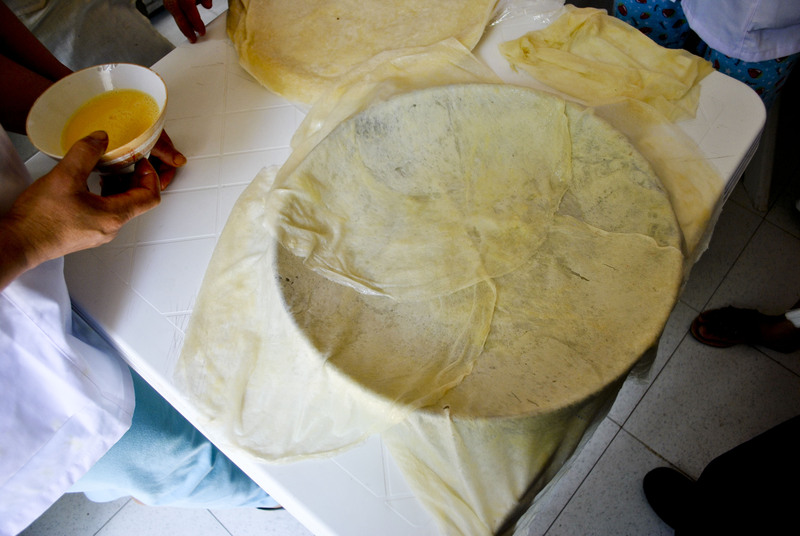 But for a large number of Moroccan women, there are two basic challenges when it comes to a home industry like making bastila. One is illiteracy. So they can’t read recipes, something most of us take for granted. Another challenge is not being able to afford the ingredients in order to practice a few times. These things pose such a huge mental block that women won’t even try. I wanted to find a way to overcome both challenges. The idea came to have a series of cooking classes, free to the participants, funded by outside donations. 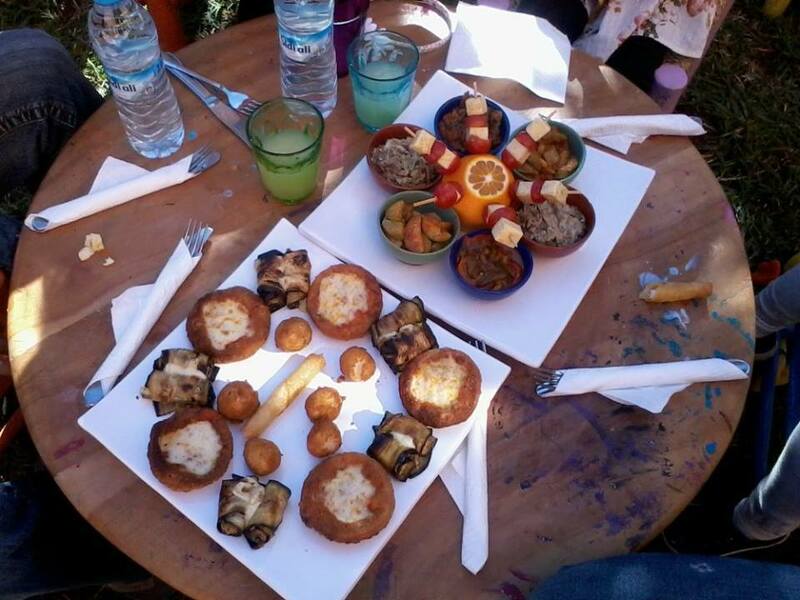 We held the first one last Sunday, at the school I work at CLC Morocco (www.clcmorocco.org). 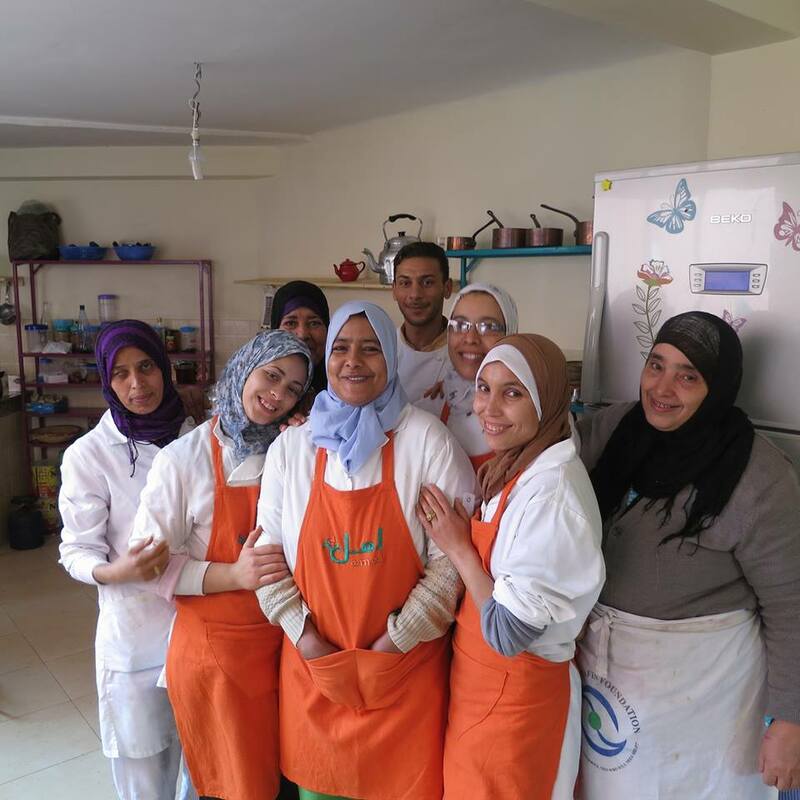 When our school cook, Khadija, heard about the project, she immediately volunteered to teach the class. Khadija is great cook, but more than that she has a fun-loving confident personality that puts even the shyest and most awkward among us at ease. As for the participants, we started with a small group of 5 women, some of whom I’ve blogged about here, so if you’ve been reading, you have an idea of the challenges these women face. As they worked, I took pictures in order to make a picture recipe book that the women can follow another time. Seeing and participating in making the dish the first time would give them the initial confidence they would need to try it again. First they prepared and laid out all the ingredients. 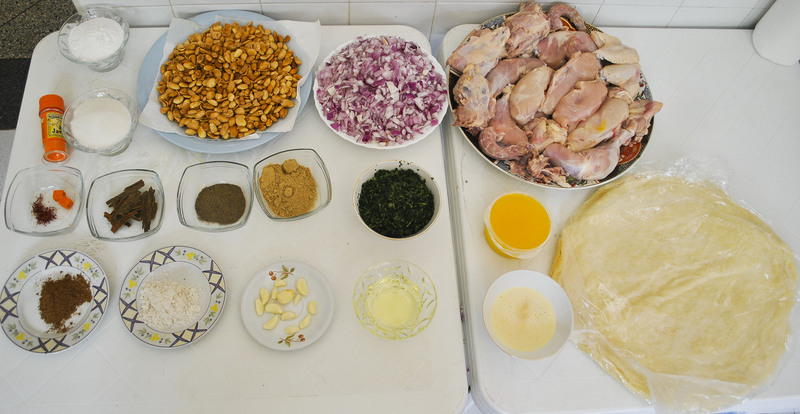 From left to right, top: powdered sugar and regular, 1 kg almonds, 1 kg onions, 2 chickens; middle row: 1 gram saffron threads, fake saffron food coloring, 3 cinnamon sticks, peppe, ginger, chopped coriander, smen (ghee), and 1 kg of the bastila sheets called warqa in Arabic; last row: Ras el Hanout spice mix, salt, 3-4 garlic cloves, oil, melted butter. Missing from this picture are 15 eggs and orange blossom water. I have to warn you, making bastila is a long process. It’s a labor of love that I don’t actually expect you or myself to make. But just for fun, here’s how it’s done. 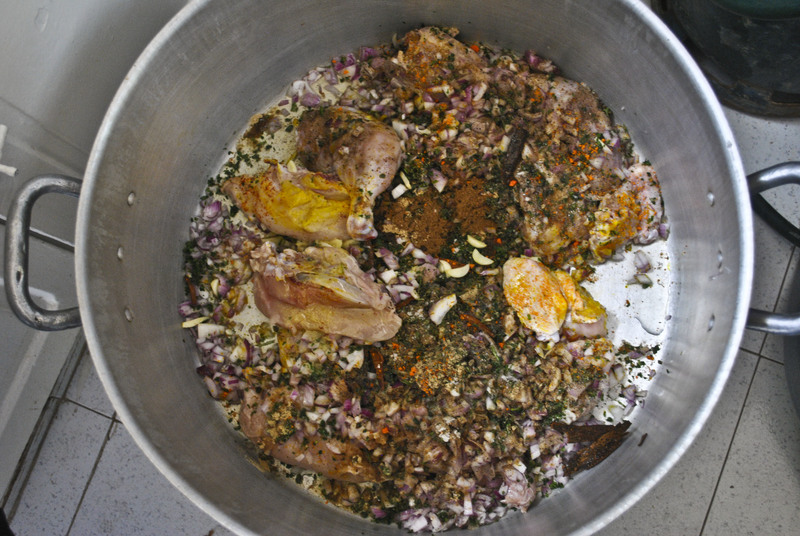 First, the chicken is set to stew with lots of salt, pepper, ground ginger, ras el hanout (about 2 large spoons each, Moroccan cooks don’t give exact measurements). 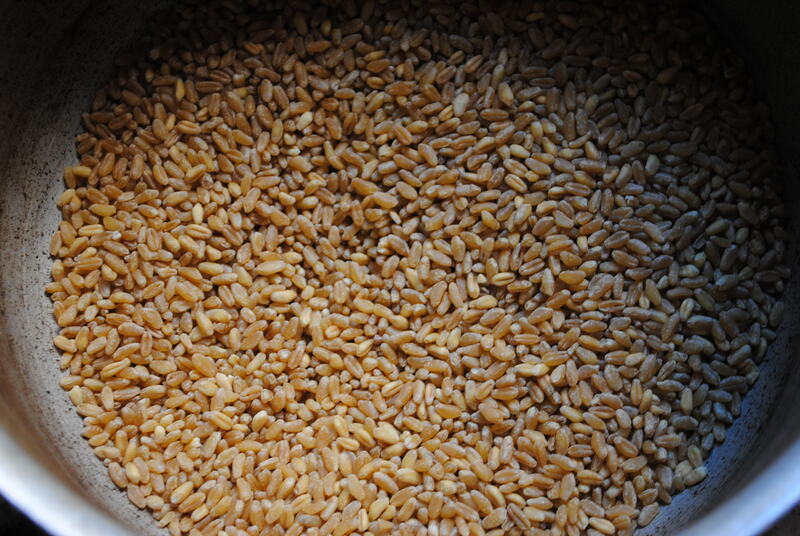 There is also a good cup of oil, about a quarter cup of smen (gheen), the onions, garlic, saffron and coriander. 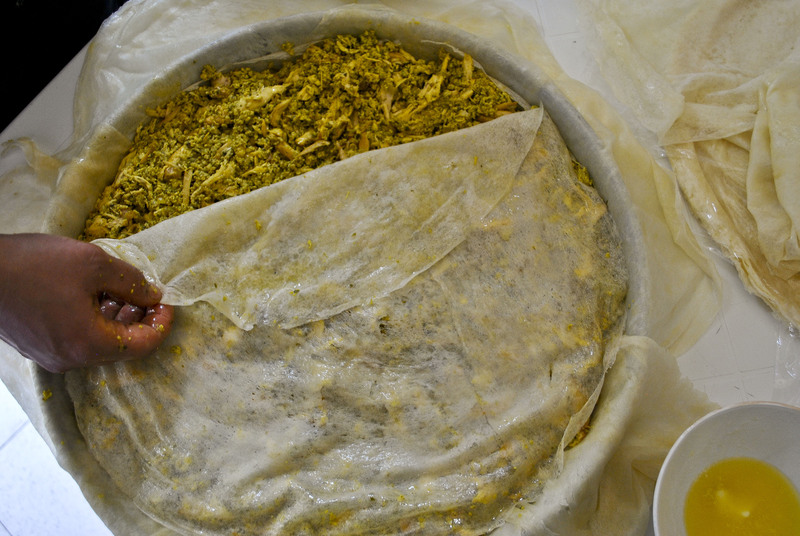 Khadija told us that some people prefer to leave the coriander whole in a small bouquet, then fish it out at the end. She prefers to add it chopped, but she said “you do it however you want”. That is basically the philosophy behind Moroccan cooking, measurements are eyeballed, the dish is tasted at various intervals and tweeked, and no two cooks will make the same exact recipe. Stir the chicken in the pot. It’s going to smell really good really quick, but don’t start to falter, although your mouth may start to water, the end is *not* in sight. 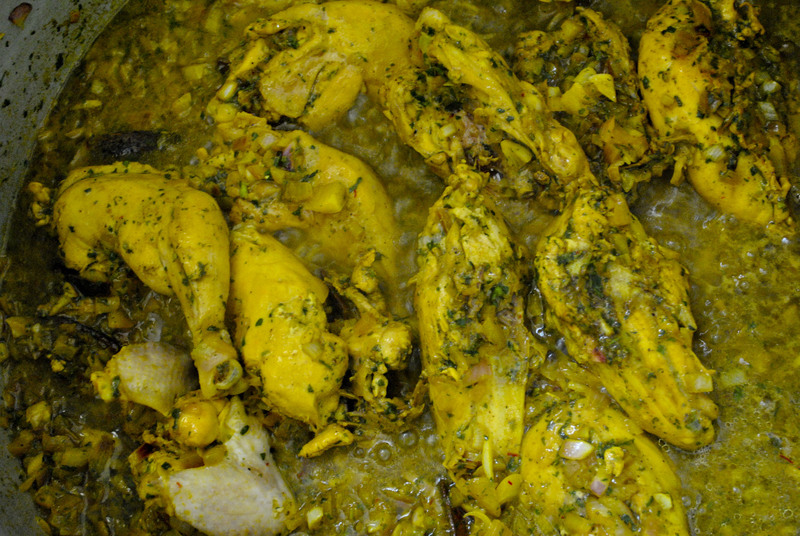 Good yellow chicken. Moroccans will not tolerate white chicken. 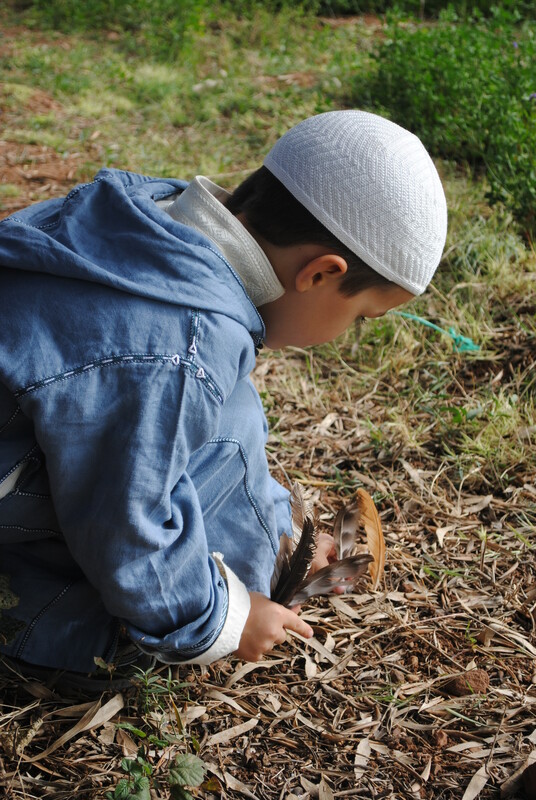 While the chicken is cooking, you can work on the almonds, see bellow. 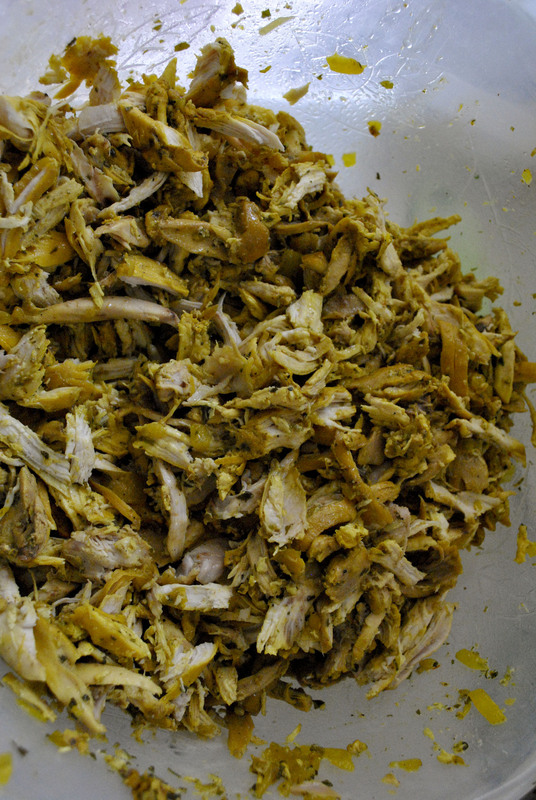 When it’s good and cooked, the chicken is removed from the sauce, left to cool and de-boned. Stage one complete. Next, skim off a small bowlful of the sauce, add it to the chicken to avoid dryness. Now start the egg stage. About 12 or so eggs will be broken straight into the sauce and stirred. 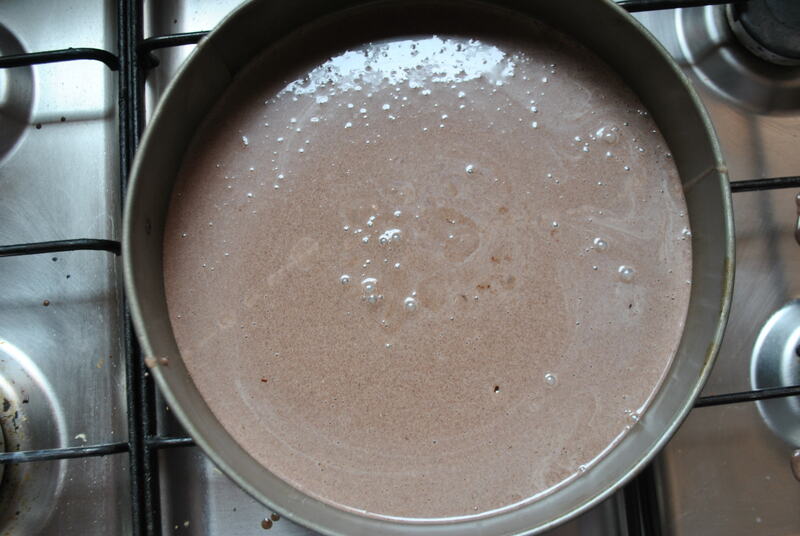 Keep stirring until they look like this. Then transfer them to a colander and let all the excess water drain out. Stage 2 complete. The almonds now. These take a while so it’s best if you do this step the day before. It’s tedious and depressing to do this alone, be warned, so call your friends and make it a bastila-making party. In our cooking class, there were like 5 ladies plus Khadija plus me working, cleaning, laughing (in my case, snapping photos and running out for random ingredients that we ran out of) and it still took about 2-3 hours from start to finish. 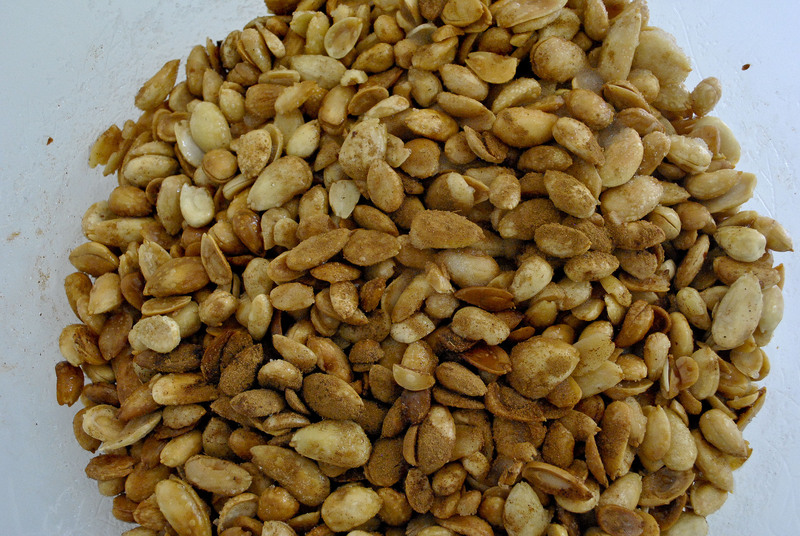 The almonds need to be washed, boiled, skinned, dried, and fried. 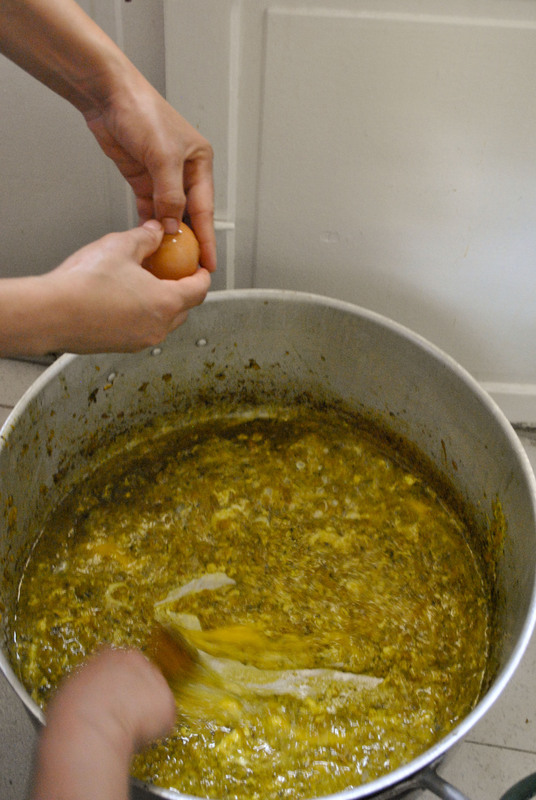 If you know Moroccan cooking, then you know what I mean. 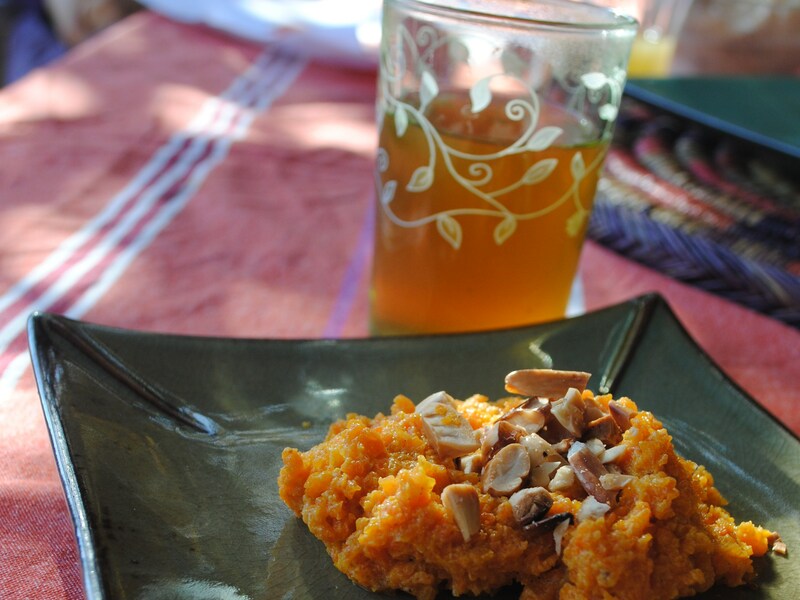 For the bastila, Khadija’s method was to take the now prepared almonds and add cinnamon (1 large spoon), regular sugar (a bowlful, to taste, personally I like mine good and sweet), a few tablespoons of orange blossom water. 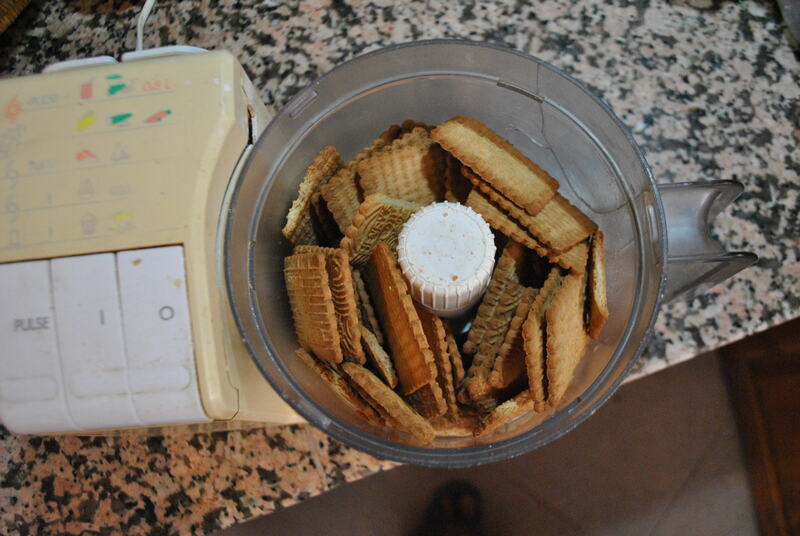 Then the almonds are pulsed in a food processor until they are coarsely ground. Then Khadija added a good half a cup or so of melted butter. Mmm! Stage 3 complete. Now on to the great assembling of the bastila. Here you have 2 things on hand, a bowlful of melted butter (check your diet at the door) and a bowl with 2 beaten eggs (remember the eggs are the glue that keeps the bastila sheets together). 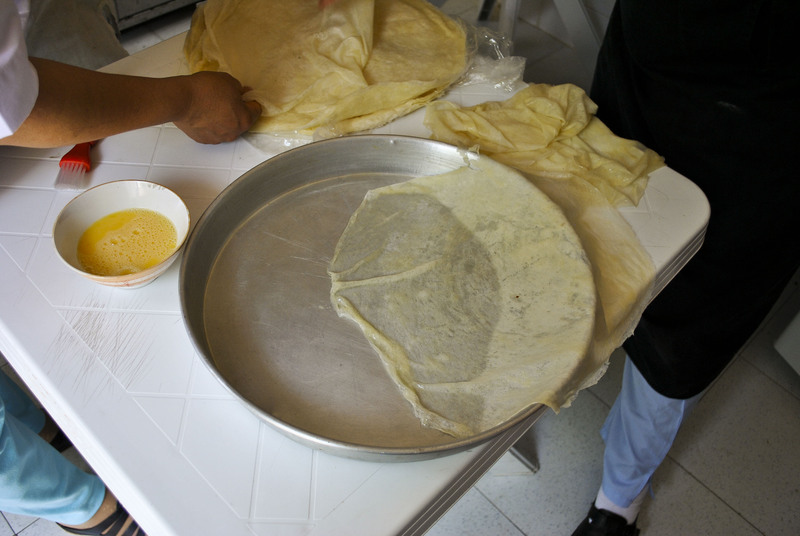 In Morocco, we order bastila sheets at the local bakery the day before. First butter the pan. Lay the first sheet down, half hanging out of the pan. 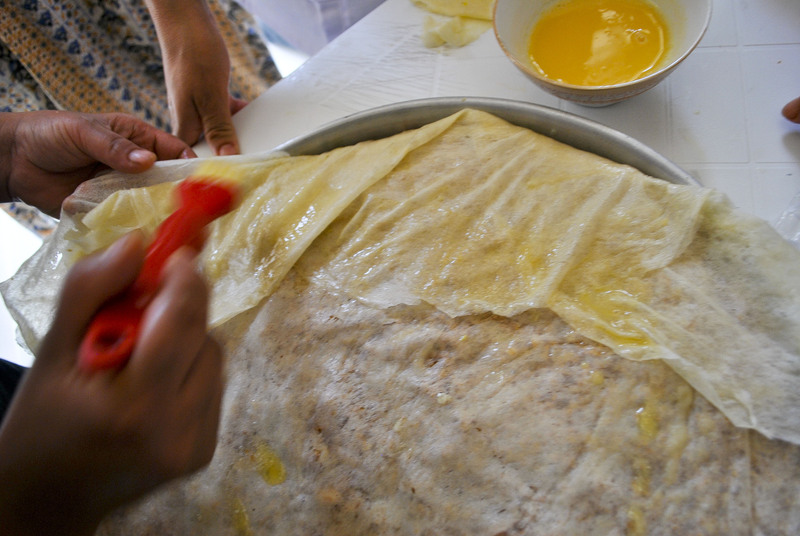 Add four more overlapping sheet, brushing egg in between them, and brushing butter on top. 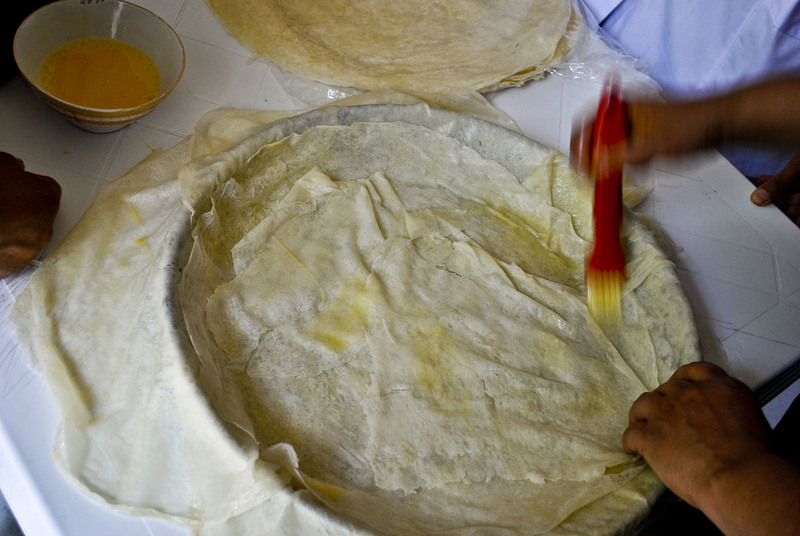 A fifth sheet is added in the center, egged and buttered. Now take your chicken and eggs and mix them up (who cares which came first, hehe). Lay them down for the first layer. It should be a good 1.5 – 2.5 inches thick. With the amounts we used, we had a good third left over (we made little bastilas out of the leftover filling). Place a bastila sheet over that layer. Not everyone does this, some prefer to just add the almonds directly. 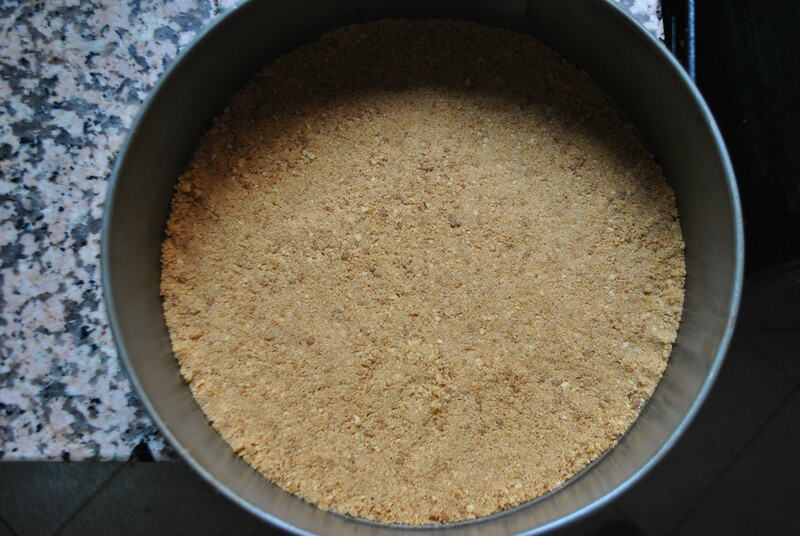 Now add the coarsely ground almonds. Now add another bastila sheet smack dab in the middle, and start to fold all the flaps over. At the very end, you add one last bastila sheet to cover the whole thing. Tuck it in nicely all around and butter the top. Put it in to cook, about 45 minutes, until the bastila is golden brown and crispy. At this point I sort of dropped the ball on photos and did not get a PHOTO OF THE FINISHED BASTILA. Doh! 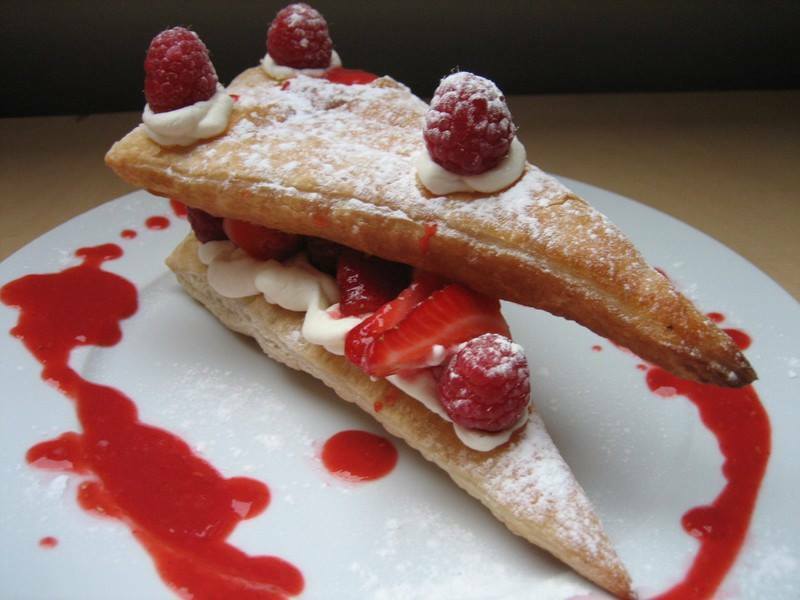 At the end, you decorate it with powdered sugar and cinnamon. 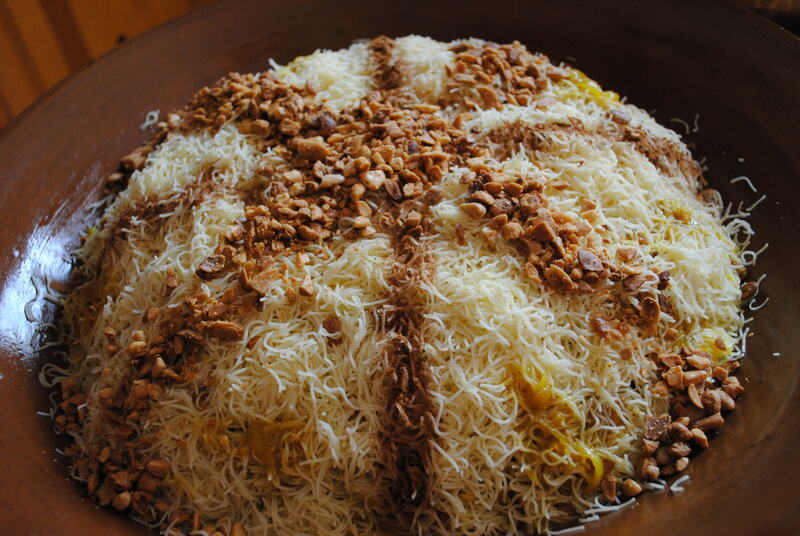 It is so good, I’d place it among the top 5 best Moroccan dishes. Oh yeah, and you can’t get it in restaurants, well, not really, unless you go to those swanky places that serve pigeon bastila at exorbitant prices. Homemade is always better! But you can sort of see it in this picture along with the apprentice cooks. It was such an enjoyable day. 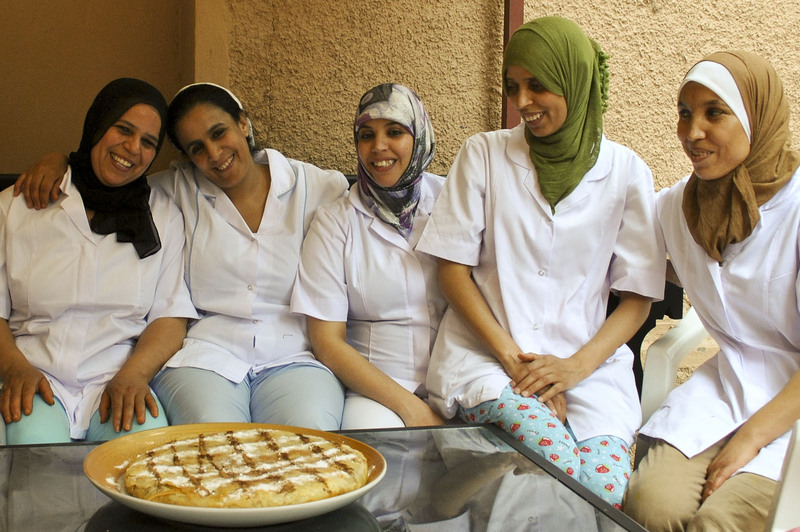 I think the ladies learned a lot from Khadija (she’s second from left here). 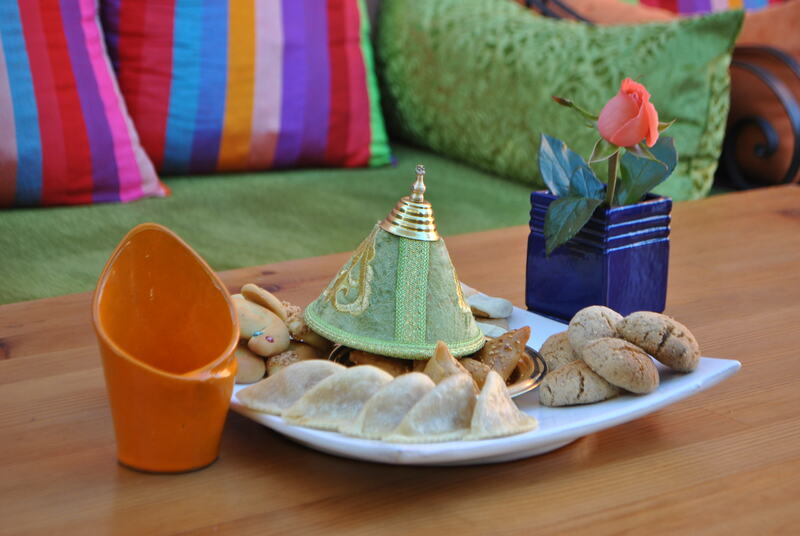 She has had lots of experience cooking for riads and for catering services, so she has the confidence it takes. These women on the other hand, have worked mostly as maids, receiving orders, so maybe do not have that confidence. 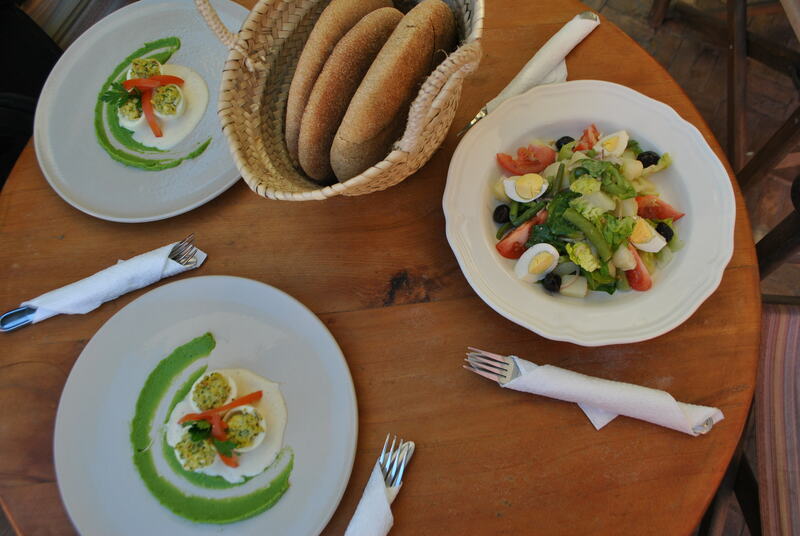 The cost of the ingredients for this dish and the fruit tarts they made afterwards was about 300 dirhams (40 dollars). It’s not a lot, but in Morocco it can be a week’s salary. Someone had given me this money and said, do something for the ladies. This turned out to be an awesome use of the money. Khadija also insisted that we buy the ladies proper white uniforms, which made them feel like real students. And these ladies who are so used to serving others, their employers and families, well on this day they were the guests of honor, since we all sat down and ate the bastila together. For me, it was a perfect day combining several of my favorite things (things I have not yet figured out how to get paid for doing, lol): networking, planning, empowering women, photography, eating and finally breaking through the blogger’s block!